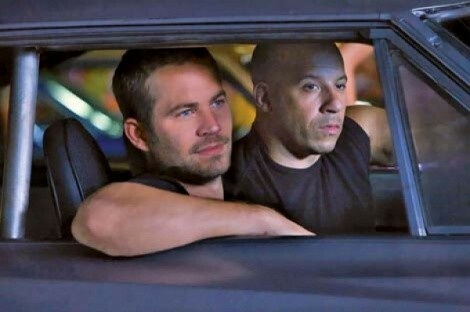 The latest Fast & Furious flick Fast Five is lazy, sour and—worst of all—short on street racing. With the exception of the appalling Tokyo Drift, the Fast & Furious movies have been packed with thrillingly staged action and peopled with protagonists who walk that bad-boy line cagily enough to make rooting for them a guilty pleasure, but a pleasure nonetheless. But something is off in Fast Five. There’s something deeply unpleasant about it that prevented me from enjoying all the stuff blowing up real good. Our gang of badasses—ex-cop/current criminal Brian (Paul Walker), his main squeeze Mia (Jordana Brewster), and Mia’s brother/Brian’s pal Dominic (Vin Diesel)—are down in Rio this time around, stealing sports cars and going up against drug dealers. But they don’t kill cops, so they’re not That Bad. Except when they benefit from the bad bad guys killing cops. And except when moments of tense suspense can be wrung from the notion that, hey, maybe they would kill cops after all, like Dwayne “The Rock” Johnson’s federal agent, who’s hot on their tail. Might Dom kill him in a hot rage? Or maybe they could just have a little man-tastic hookup and get it over with already. A sourness lingers over the film, and a general laziness. It skips over most of the actual street racing that made the first movies so ridiculously exciting. In its place, we get a shoddy Ocean’s 11 heist knockoff, the kind in which someone says things like, “We need a bisexual Martian who can pick locks and do improv,” and then someone else says, “I know a guy”—and then those requested talents never get used. The Robin Hood aspect—the gang is heisting a drug dealer’s millions—gets lost in a level of civic destruction that would make Michael Bay blush, and would probably negate whatever societal benefit would come from bringing down a powerful drug lord. Unless they gave over their stolen millions to rebuild downtown Rio.